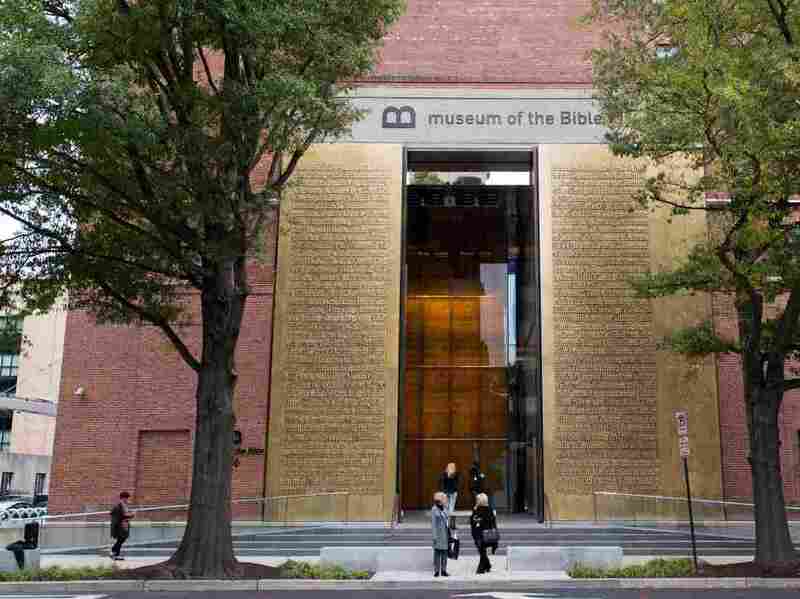 Museum Of The Bible Says 5 Of Its Most Famed Artifacts Are Fake After independent analysis, the museum said on Monday that five of its famed Dead Sea Scrolls fragments were fake. They will be pulled from their exhibit. Other fragments will undergo further study. After independent analysis, the museum said on Monday that five of its famed Dead Sea Scrolls fragments were fake. They will be pulled from their exhibit, and other fragments will undergo further study. The Museum of the Bible said Monday that five of its 16 famous Dead Sea Scrolls fragments are fake. A team of German experts analyzed the privately funded Washington, D.C., museum's fragments and found they had "characteristics inconsistent with ancient origin." The fragments will no longer be displayed at the museum. "Though we had hoped the testing would render different results, this is an opportunity to educate the public on the importance of verifying the authenticity of rare biblical artifacts, the elaborate testing process undertaken and our commitment to transparency," said Jeffrey Kloha, chief curatorial officer for the museum, said in a news release. 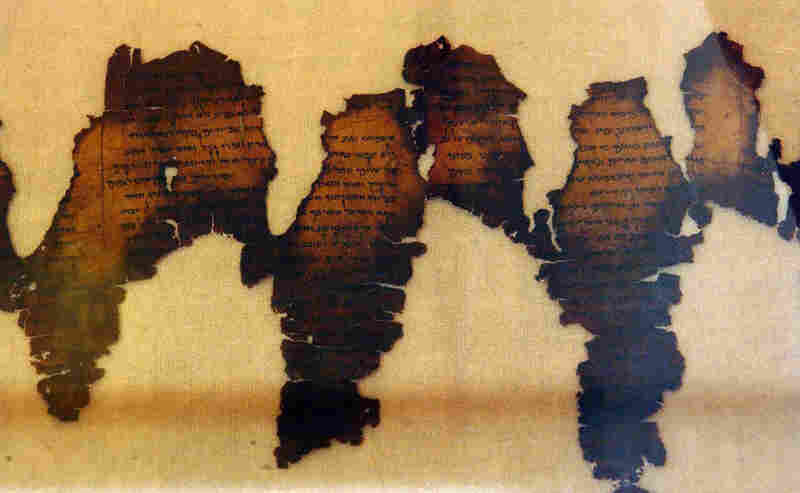 The Dead Sea Scrolls were discovered from the late 1940s to 1956. The ancient Hebrew manuscripts have been a source of fascination and debate ever since. The Dead Sea Scrolls fragments had been displayed since the museum's grand opening in November 2017. Questions about the fragments' authenticity were raised two years ago by museum-funded scholars in an academic publication. Fragments of the Dead Sea Scrolls are displayed in 2003 at Montreal's Pointe-a-Callieres archaeology museum. Five forged fragments of the scroll were previously displayed at the Museum of the Bible. One of those researchers, Kipp Davis of Trinity Western University, examined the fragments' scribal quality, writing techniques and manuscript state. He wrote in October 2017 that his studies confirm "the high probability" that at least seven fragments in the museum's Dead Sea Scrolls collection were forgeries, "but conclusions on the status of the remaining fragments are still forthcoming." BAM's report raised further suspicions about the authenticity of all five fragments that were tested, the museum said. The museum will replace the five fragments in the display with three other fragments that will receive further study. "Exhibit labels will continue to inform guests that there have been questions raised about the authenticity of these fragments and that further research will be conducted," the museum said. Much of the Museum of the Bible was funded by the Green family, which owns the Oklahoma-based Hobby Lobby chain of craft stores. In a religious freedom lawsuit that reached the Supreme Court in 2014, Hobby Lobby won an exemption in its employee health plans from having to cover the cost of contraceptives. Through Hobby Lobby, billionaire Steve Green and his family amassed a private collection of about 40,000 biblical artifacts and manuscripts. Much of the Greens' collection is now at the museum.